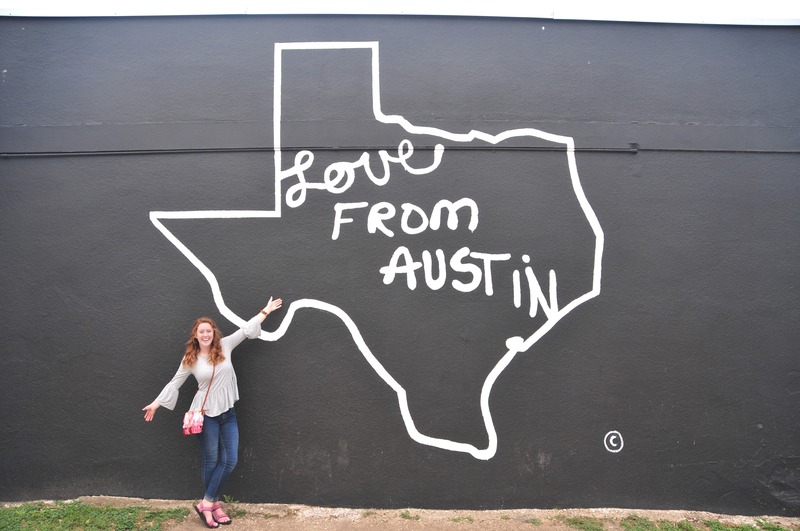 Austin was a blast! It was so great to see Mason’s family, and we had too much fun hanging out around town! 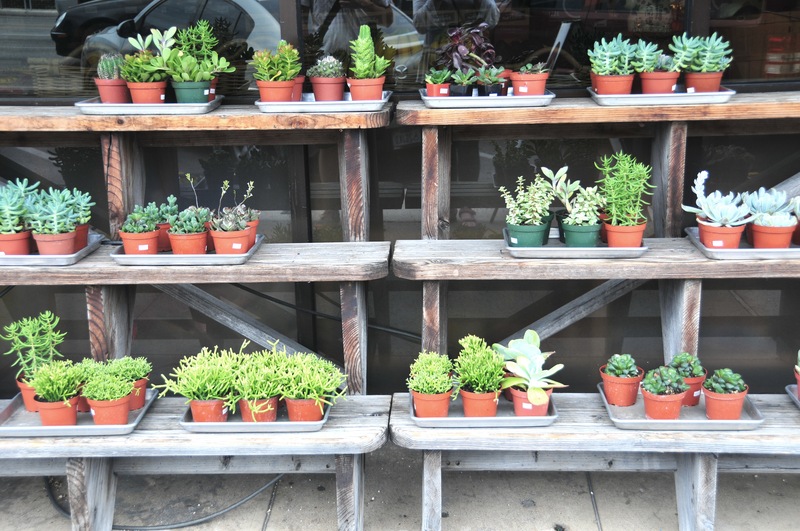 On Monday, we decided to window shop around South Congress Street. 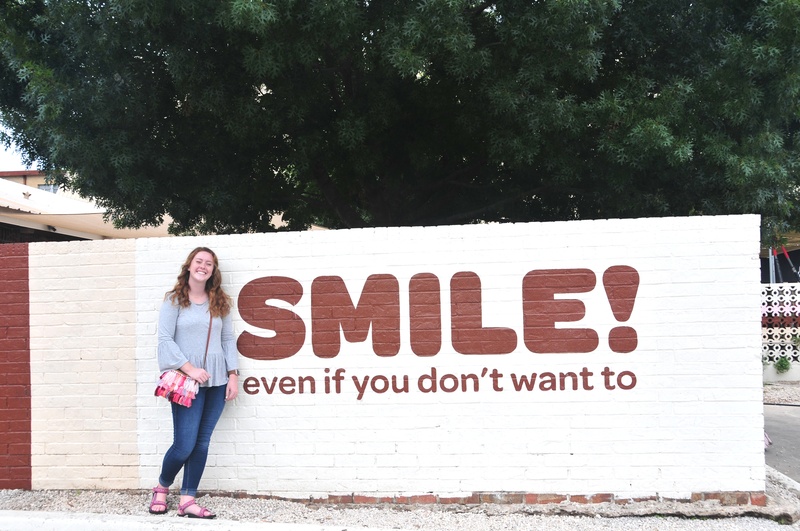 All the restaurants and shops down that street are so cute, and you can follow up your walking tour with a visit to the State’s Capitol Building! 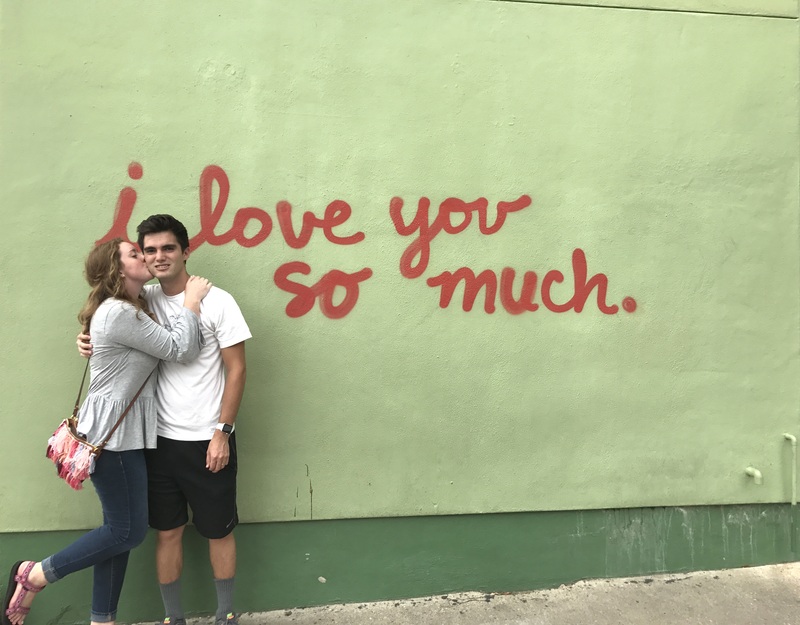 Since we had done SoCo already, we thought it would be fun to check out some of the most "instagramable shots" on the street! 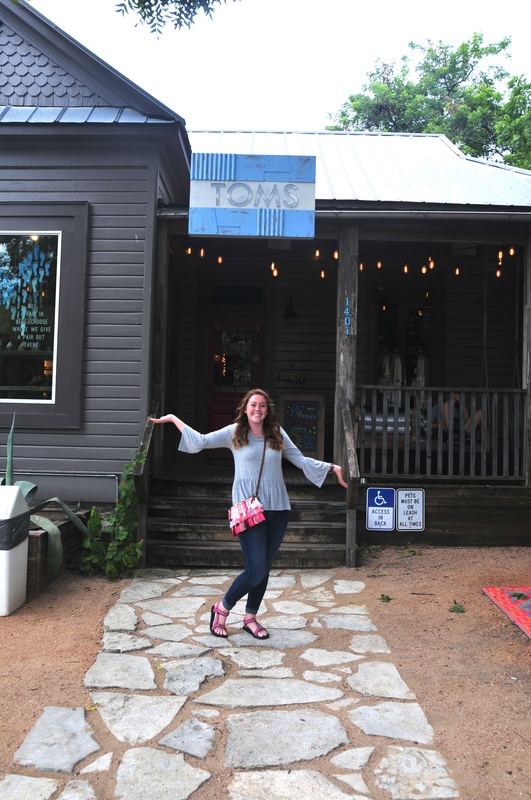 First, We visited the TOMS store because I love the brand, and I love their purpose! Below are the murals around the building. 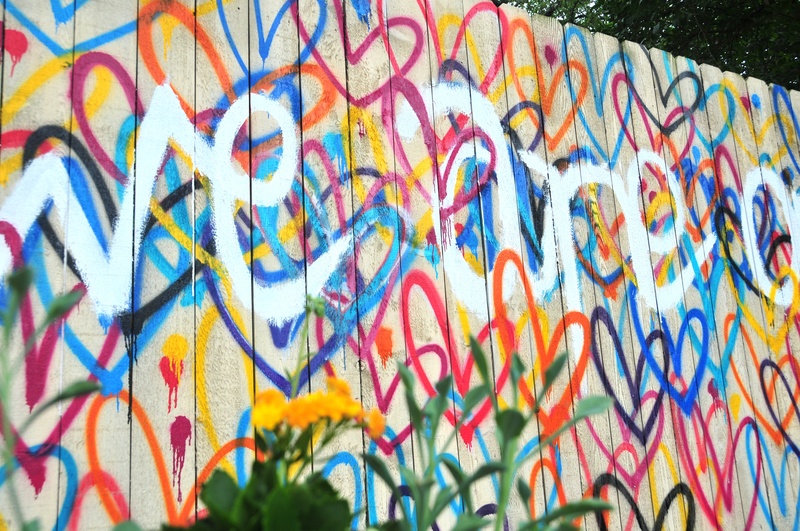 The Love Wall is around the back in their lounge area, and they have the custom design on their original Alpargatas! 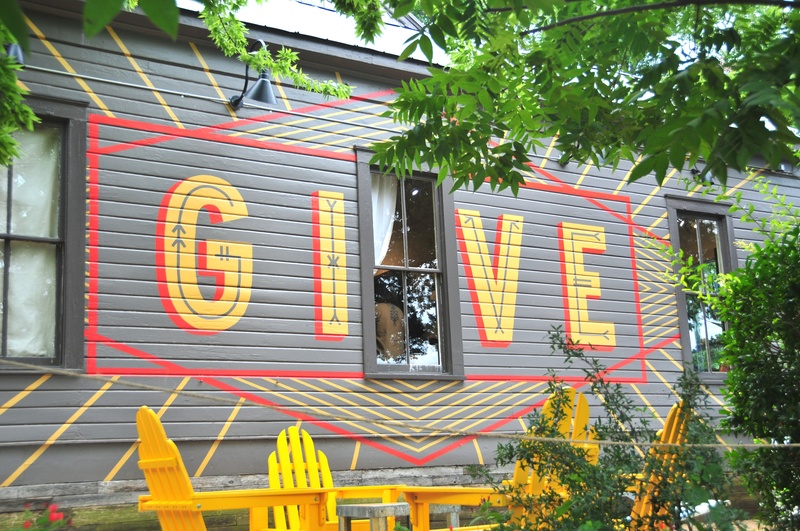 The Give Wall is on the side of the building, and you can see that one from the street. 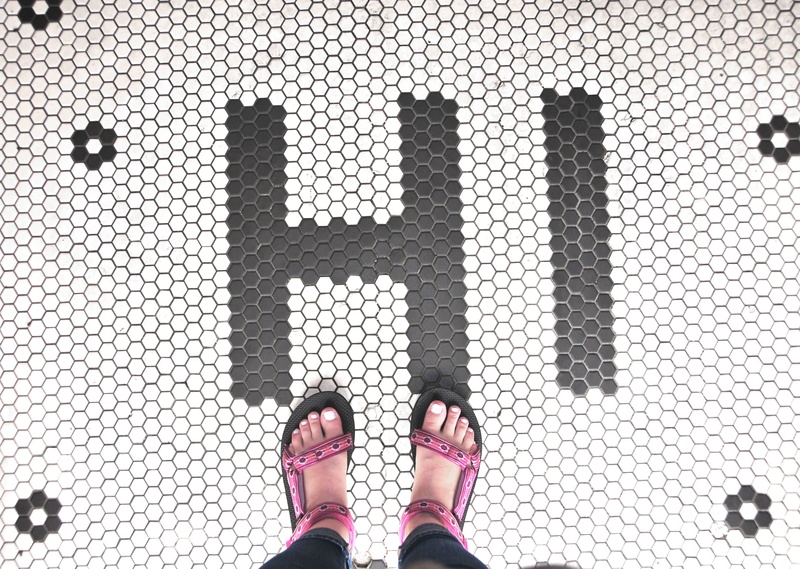 This is the floor in the doorway of Home Slice! We didn't get to go on Monday, but we did make it in eventually during the trip. Good New York Style pizza, good people, and a great vibe! Home Slice is the restaurant where you have to order a whole meal (Heads up: they are closed on Tuesdays, so plan accordingly), but next door is Home Slice More where you can order pizza by the slice. The prices there are very reasonable, and Home Slice More is open on Tuesdays! ProTip: Home Slice is a great place to pick up a whole pie for a picnic at Zilker Park! 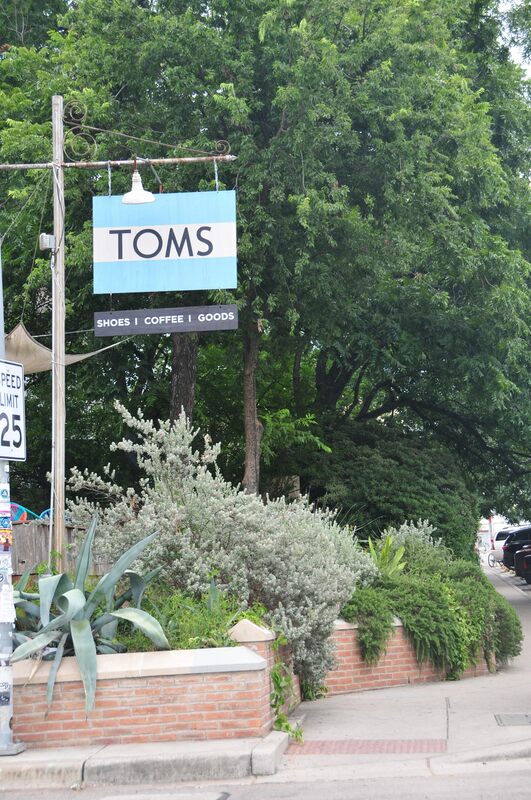 It's located just past Home Slice by Hey Cupcake!. 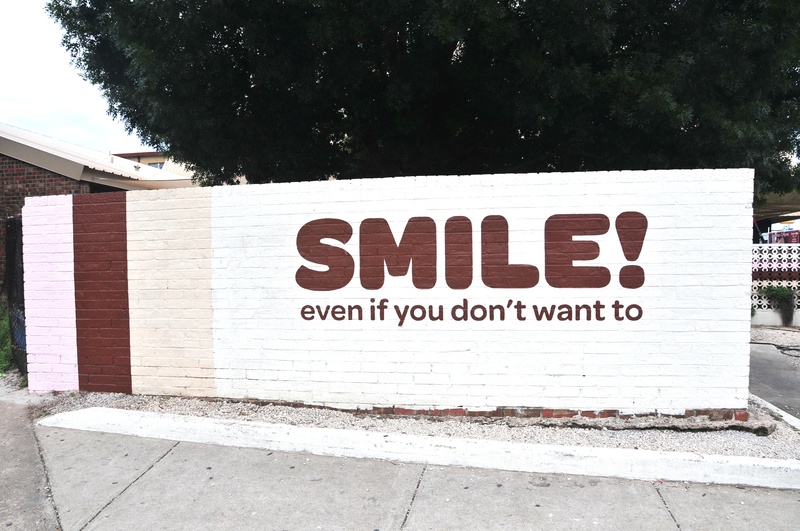 This wall is on the right side of Prima Dora, which is located next to Magnolia Cafe! Magnolia is a 24-hour diner, cash only. The whole restaurant reads "Old Texas Hospitality"! It's kind of a be-self-sufficient place where they'll be nice, and they'll treat you right, but don't cause any trouble, and don't ask for your eggs to be modified😂. 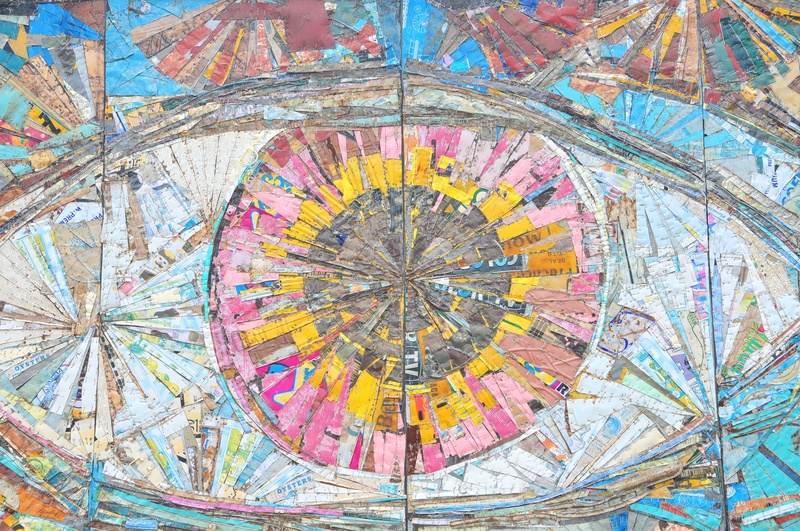 This piece of art is called "Big Eye" and it located on the side of South Congress Books. 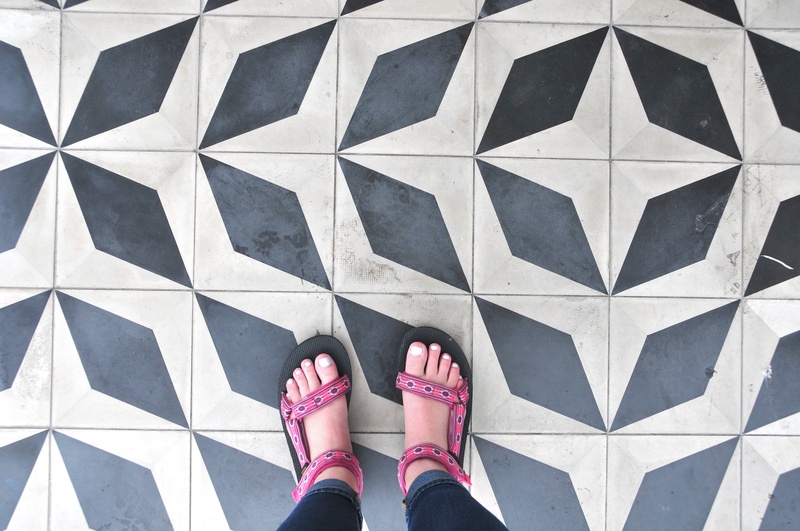 This floor was in the waiting area of Torchy's Tacos. Now, all Torchy's Tacos locations make AMAZING food (I like the Independent and the Democrat. YUM!!! ); however, is the best location is in Lakeway. I don't know why that is the case, but HO-LY-COW!!! 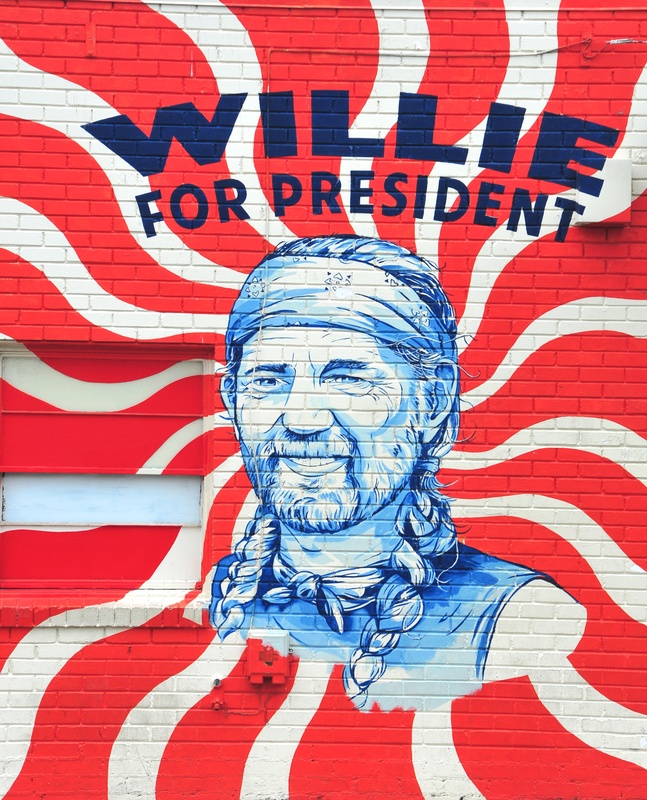 Everyone in Austin loves Willie Nelson.. That is the only explanation for this wall. 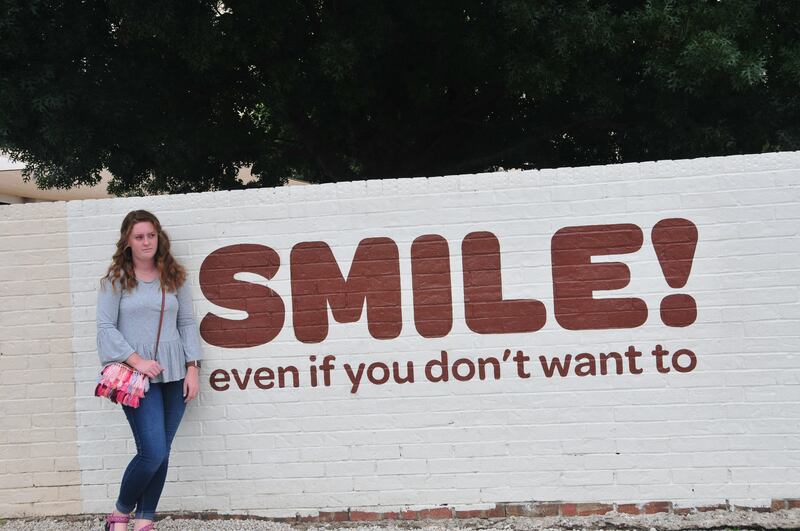 This mural is painted on the side of Jo's Coffee. 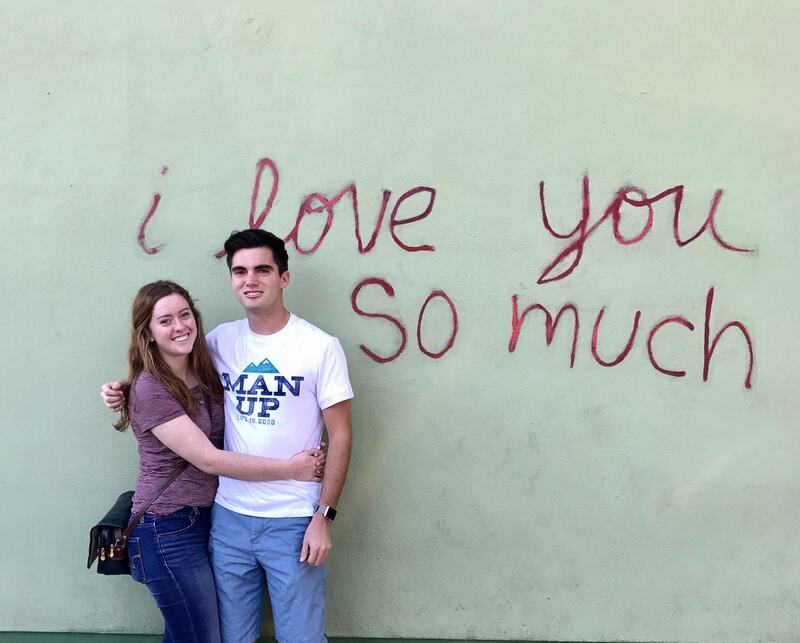 There has been a trend where people are going around vandalizing all of the murals around Austin, and this one has been a target several times, so the font is constantly changing (see the picture featured to the left from the last time we toured South Congress). Do you want to know what the best part of the day was? We only spent money on lunch, so between the two of us, for a few hours of entertainment, we only spent $10.00! That's right folks, everything else was FREEEEE! 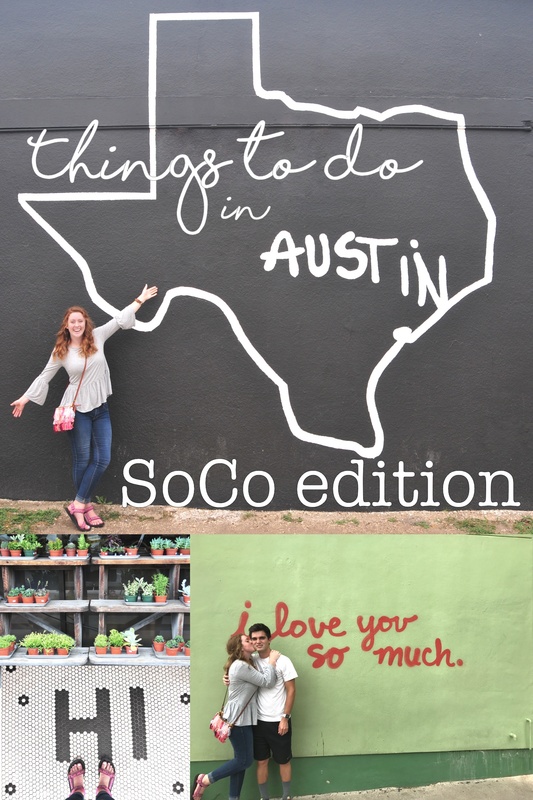 Let me know in the comments below what you like to do around Austin and on South Congress.